After taking a week off, Footyfair is back this week with another 10 Questions with a Pro series episode. This week we had the pleasure of getting to know Hunter Freeman better and ask him 10 questions about his professional career as a footballer. 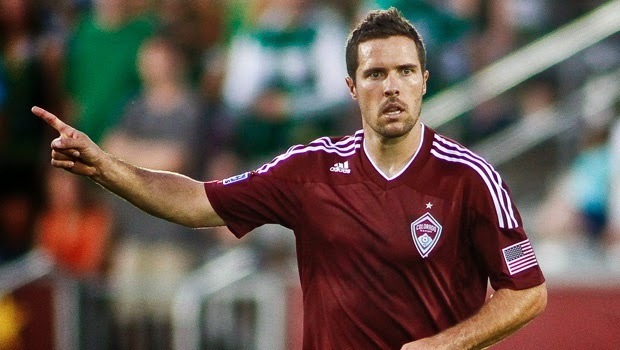 Hunter has been playing for just over a decade now which has seen him represent some of MLS most popular teams, like NY Red Bulls, Toronto FC, Colorado Rapids and Houston Dynamo. He has also played in Norway for IK Start and is currently representing New York Cosmos in the NASL, one of the most iconic North American soccer teams. FootyFair: Growing up in Texas, American football must have been one of preferred games of most of the kids in on your neighborhood, how did you get into soccer as a youngster? Hunter Freeman:I got into soccer because my older brother was playing & my father was playing (recreationally) as well. So it was just natural that I tried it as well. FF: Growing up who was your favorite footballer? Why? HF: I always enjoyed watching Paulo Maldini play. For me he is one of the best defenders to ever play & the success he achieved both on a club & national team level, speaks for itself. FF: You were a player with Generation Adidas drafted by Colorado Rapids in the Superdraft, how was that day for you and your family? HF: I was actually in camp with the U-20 national team on that day, so I wasn't even with any family and obviously didn't attend the draft. We were in Los Angeles and that draft was on the east coast that year. There were probably five or six guys on our U-20 team who were in that draft, so pretty much our whole team was watching from the hotel bar to see who was going where. Obviously it was a great feeling to be selected, but I didn't think I was going to Colorado. The night before my agent said that New York was very interested in me and they were trying to trade up to take me (as they had one of the late 1st round picks), but Colorado it was. FF You have played for several MLS teams, which one holds a special place in your heart? HF: I think all of them do, to be very honest with you, and all for different reasons. Colorado because they gave me my first chance, I was able to start and play a lot games my first two years in the league. I obviously went back there later for a year and got to play in their stadium that I had seen built but never got to play in before. New York was a great experience for me as well. First, I got to play for one of the best coaches in our country, Bruce Arena. Secondly, I was able to play alongside many great players as well, like Juan Pablo Angel, Claudio Reyna, Clint Mathis, Dave VanDenBergh, Mike Magee, and many others and besides that, on a personal note, I met my wife during this time as well. I still keep in touch with a lot of the players and staff that were involved in and around the club. Toronto was an interesting one. I got traded there on the trade deadline with 8 games to go. I had already signed a contract for the next season in Norway, so I knew my stay would be brief. They were in last place and I didn't have many expectations to be honest. However, the atmosphere in their locker room compared to the one in NY (a team that made the MLS Cup Final) was so much better. I really enjoyed playing for John Carver and I ended up starting the last 8 games for them. Lastly, Houston was great because I finally got to play for a team in my home state of Texas, as well as make it to MLS Cup Final. As well, my wife gave birth to our first child. So I have many fond memories at all the clubs. FF: You are currently playing for one of the most iconic and historic teams in the North American footballing landscape, the NY Cosmos. 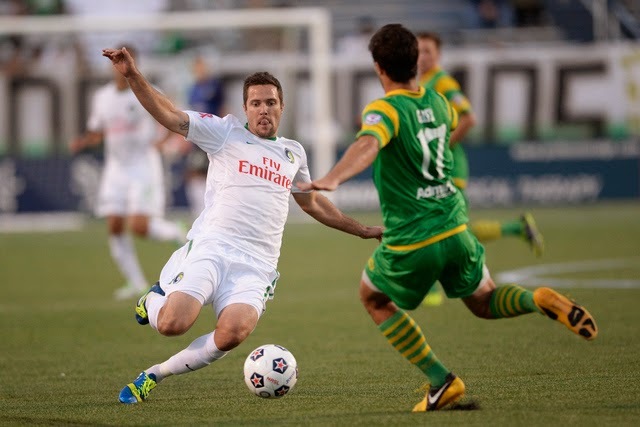 Having won the NASL 2013 Championship on your debut season with them, how important was that title for you personally? 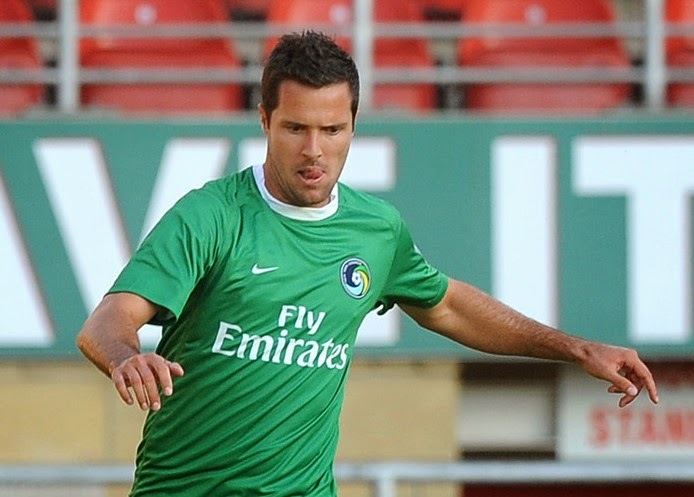 HF: Playing for the Cosmos has been one of the best experiences of my career. The way the club is run both on and off the field, as well as the "family" type feeling we have in our locker room has been a huge reason for our success right out of the gate. Winning a title was huge because it was something I had never done professionally. To be able to win with a team that started from scratch in literally just 3-4 months is something I don't think people fully understand just how hard that was. FF: Having played for NY Red Bulls and playing now for the Cosmos, how do you see the rivalry between these two giants of soccer in North America? HF: I think rivalries in sports are fantastic. That is what players live for and what fans live for. To be able to have a rivalry and a team in such close proximity is something new here in the US, and if there is any place in the US that can handle have 3 teams, it's without a doubt NY/NJ. The atmosphere at our game vs Red Bull was unlike any other we had played, and that credit goes not only to our own fans but as well as Red Bull's fans. FF: You have played not only in North America but also in Norway, how would you rate your experience abroad? HF: Playing in Norway was a wonderful experience. It was something I had always dreamed of and fortunately I started every game in the 2 years I was there, that I was healthy to play in. At the same time, you realize that some things are much better and some are much worse, but to be able to experience a different culture and play in a country where soccer is in the front page of the news every day was amazing. FF: From the players you have played against, who was the toughest opponent you have faced? HF: Individually playing against Messi in the U-20 World Cup, which was a tough task to say the least. Thankfully he only played the 2nd half! We ended up winning that game 1-0, but in the end he won the Golden Ball and that tournament was his coming out of sorts to the world. As for a team, when I was with Red Bull we played Barcelona and they were simply amazing. FF: What do you do during the off season to stay in shape and ready for the upcoming season? HF: Right after the season I just try to let me body rest. I don't really do much of anything to be honest for the first 10 days or so. Then I usually begin to do some light workouts. I'm in the gym a lot more and running a lot less. As the season begins to get closer then I begin to concentrate more on the fitness side of things rather than the strength side. Of course, any kind of pickup game or training session I can get involved in as well to get some touches on the ball and some soccer specific fitness always helps. FF: How important is for the soccer growth in America for the national team to have success at the international level? HF: It's huge and now that you see some of our best players coming back to play in the US shows you how much things have changed and how they will continue to change in the future. I mean when I look at where soccer and its popularity in America was 10 years ago when I signed my 1st contract to where it is today, it's almost night and day. I think in another 10 years we will be able to say the same compared to where the game is today. It's definitely an exciting time for the sport in our country and one that I'm happy to be along for the journey and see where it ends up. FootyFair would like to take this opportunity to thank Hunter Freeman, and which him all the best for the rest of the season and continued success in his career.